Captain Russ Merrihew – U.S.C.G. Licensed Skipper; Ohio Licensed Guide; and Fully Insured. 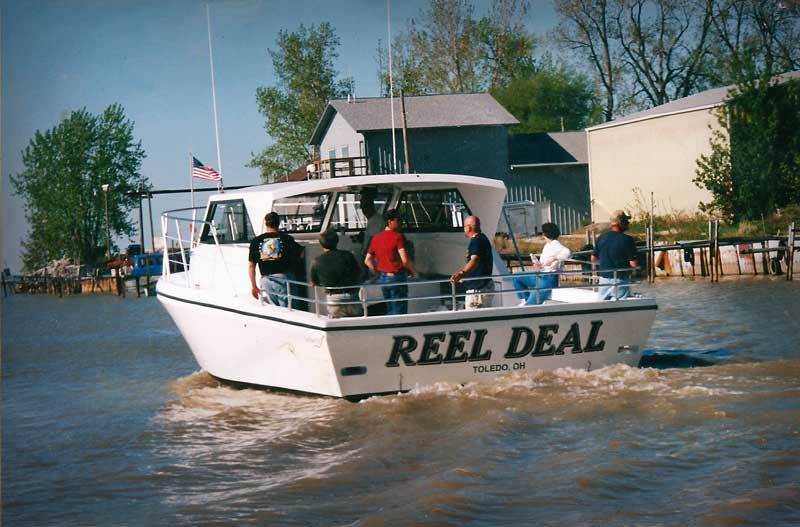 With a custom built fishing boat, Reel Affair Charter Service can offer your group the best fishing available on Lake Erie. The 36′ boat provides a wide beam and spacious, steady platform from which to fish for up to 12 people. The vessel is equipped with all of the latest fish finding and electronic equipment. In addition, the cabin area provides comfort and shelter when needed, especially for women and children. Take a look at the pictures and you will see a big difference between us and most other Lake Erie charter boats. You won’t be cramped into a small space at the stern of a boat like most other charters. Our boat has a VERY large open fishing area that gives you plenty of room. Located in the heart of Lake Erie’s western basin, with an estimated population of 50 million hungry walleye just waiting to be caught. Come fish with Reel Affair Charters and you will know why so many of our customers come back year after year. We pair the greatest fishing experience with the greatest time. Sign up for your charter now. The best dates go fast. To reserve your date, call Captain Russ at (419) 836-9070 or contact us here.